Tampa, FL Real Estate is among the nation’s most desirable, for many reasons: ideal climate, beach access, booming job market, vibrant arts and cultural venues. Whatever your ideal Tampa home – waterfront, historic bungalow, luxury high-rise, gated & groomed subdivision – there’s sure to be a number of Tampa homes for sale that respond to your every wish. Neighborhoods run the gamut from upscale to energetic, and homebuyers can choose between homes for sale in prestigious, quiet Hyde Park and Davis Island locations, or lively downtown, along Tampa’s beautiful Hillsborough River. 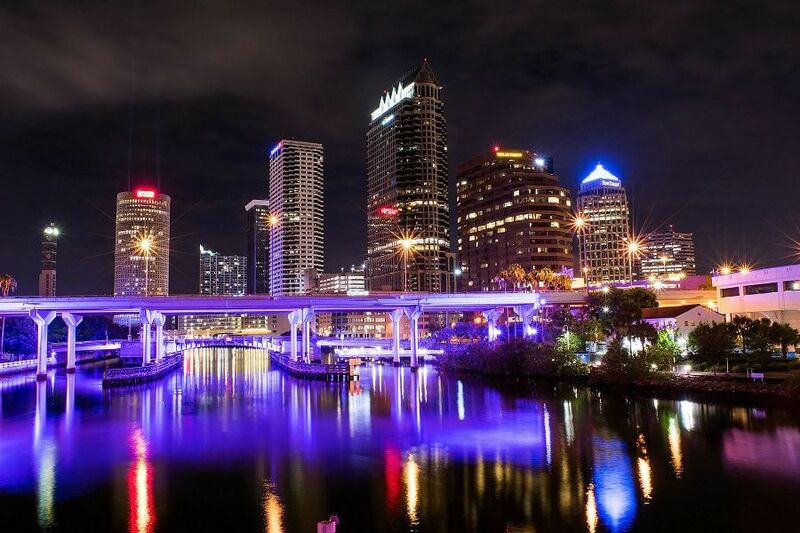 The Tampa Bay area boasts a vibrant economy – Tampa itself is among the country’s most favorable locations for business start-ups, company headquarters relocation, and diverse employment opportunities. Several Fortune 1000 companies operate from a Tampa base, including Anheuser-Busch – even Internet phenomenon Wikipedia runs its busy servers out of Tampa. MacDill Air Force Base, another significant contributor to Tampa’s economy, operates important US military commands and employs over 15,000 people. Following the national trend towards urban residential revitalization, Tampa’s downtown continually becomes more appealing to suburbanites by offering amenities unavailable in outlying areas. These include proximity to arts venues, negligible commute time to the office, and a fun and fast-paced environment. Once complete, the Riverwalk project will follow the Hillsborough River from Tampa Heights to the port & bay, linking all the intervening downtown areas with pedestrian avenues lined with shops, eateries, and parks. The culminating point is what’s called the Channelside District, which houses a multi-screen theatre (with IMAX), day cruises, gaming, and many restaurants, bars, and shops. People seeking to live in an area experiencing economic, cultural, and social growth should consider exploring Tampa Florida real estate. Besides the options for living downtown, in the heart of the city, one particular up-and-coming neighborhood in South Tampa appeals strongly to the young professional real estate shopper. Dozens of boutique shops and specialty restaurants line oak-shaded streets in the neighborhood surrounding Howard Avenue. Another famous Tampa area is Ybor City, once center of the Cuban, Spanish and Italian populations and a cigar empire, and now home to a busy nightlife and live music scene. The original Columbia Restaurant occupies an entire block in Ybor. Tampa, FL real estate for sale includes the typical options – single-family residences, subdivisions, condominiums and town homes – so regardless of budget or family size, we can help you find the Tampa home that’s the ideal fit. Tampa homes are priced lower than comparable homes in other metropolitan areas of Tampa’s size and diversity. Drawn by the economic strength, pleasant climate, and relatively inexpensive cost of living, new homebuyers have made Tampa Florida’s third-largest city, and growing. Those thinking of moving to Sarasota or Palm Beach for their similar year-round semitropical climate often reconsider when they discover that Tampa’s basic expenses are much lower – allowing more income to be diverted into real estate and savings. Tampa’s population of approximately 303,000 [as of 2000] has its greatest concentration in the 25 – 54 year-old age bracket, making the city much younger than many of Florida’s other main cities – these often focus on retirement rather than business. Tampa residents enjoy the convenience of one of the world’s top airports, Tampa International Airport, which has consistently garnered praise from Conde Nast Traveler magazine and countless passengers. Tampa’s highway system underwent a major renovation which included improvements at the I-275/ I-4 junction and the addition of a reversible-lane elevated highway to the Lee Roy Selmon Expressway. It’s a quick and simple drive to any of the appealing towns surrounding Tampa real estate – the Gulf Beaches, downtown St. Petersburg, and many state parks such as Honeymoon Island. If you’d rather travel by sea, a trip to the Channelside district and Florida’s largest deep-water port provides access to five major cruise lines, plus several local sightseeing and dinner cruise boats.